Our plow shares into swords? More than Your healing word? While blood flows through our streets? Oh hear our pleas of anguish! How long will we burn green fields While poor ones cry for bread? The color of one’s skin? At this time, we offer prayers for all those who have lost their lives to racist systems include the police officers and their families who were killed in Dallas. At this time, we offer prayers for healing and reconciliation for our congregations, our communities, and our world. Dismissal that invites support for the journey through ongoing action and reflection. 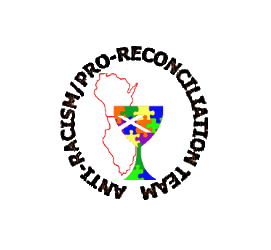 Our CCIW PRAR team has gathered and created resources for responding to the concerns of our congregations and communities in the wake of more shootings—in Minnesota, Louisiana, and Dallas. We are also encouraging reading Jim Wallis’ book America’s Original Sin.